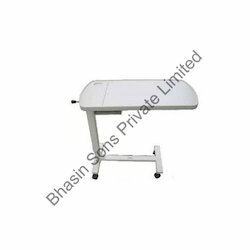 Our range of products include manual overbed table, overhead tables, overbed table adjustable by gear handle, overbed table by knob, food trolley and lifting pole. 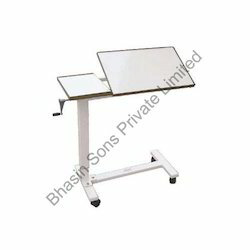 With wide distribution network, we offer a wide range of Overhead Tables that has a huge appreciation from our clients spread all over the world. This product we offer is an extremely reliable product used for wide range of treatments in hospitals and clinics. These are enhanced with prolonged duration by using finest quality raw materials for manufacturing these products. This is widely accepted for being cost-effective and consistent. telescopic stem made up of tubular square mild steel. Following the guidance of our skilled professionals, we manufacture these very fine qualities Overbed Table by Knob. Our range is manufactured using high grade raw materials. These products are well-known for its consistency, which are very user-friendly and rust-free. The adjustable knob is used in varying the heights effectively for the expediency of the user. 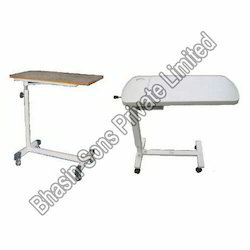 This table is used in hospitals for conducting minor tests for kids and women. 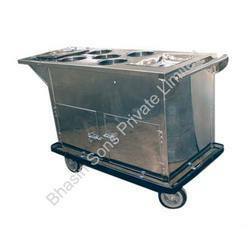 We offer an ample range of Food Trolley across the world at a competitive price. These trolleys are intelligently designed with sufficient space for each container. More over it keeps the food to remain warmer for longer period. Our range is manufacture especially with the concept of durability. The trolleys are widely highlighted for its thick handle and wheels. 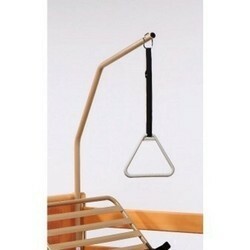 It is generally used in the patient wards of the modern hospitals. We at, Bhasin Sons Private Limited are engaged in manufacturing and exporting Lifting Pole around the globe. Our firm uses advanced technologies and high quality raw materials for the manufacture of this product. This product is featured with high durability, elevated poles, pole tip with wide opening for attaching drips and blood packets. In all hospitals and clinic these are widely applicable for treating patients with convenience. Looking for Overbed Tables ?